In Acts 28 we see that God’s Kingdom advances through unlikely people, impossible situations and an unbelievable gospel. 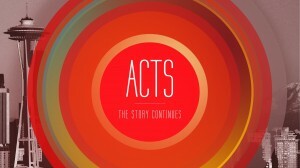 The book of Acts may end, but the story that began in Acts continues to this day – and we get to help write it. Acts 27 contains one of the most famous shipwreck accounts of classical antiquity as the Apostle Paul makes his way to Rome. What do we learn here? He is sovereign over our storms, at work amidst our storms, near during our storms, trustworthy in our storms, and will deliver us through our storms. Jesus is the Lord of our storms. Acts 26 contains, without question, one of the most stirring and magnificent summaries of Christianity. Christianity is not a code of ethics, morality, philosophy, or self-help. At the heart of Christianity is a man who claims to be God, offers to open our eyes, transfer us from darkness to light, forgive our sin and gives us a place among his people. In Acts 24-25, we see that the Apostle Paul did not see Christianity merely as a good idea, a sincere opinion or one way to live that happens to work for some. Christianity is God’s revelation of historical, universal, absolute truth – seen most clearly in the person and work of Jesus Christ, for everyone, everywhere. In Acts 21-23 we see the costliness of following Jesus escalate for the Apostle Paul. If you trust and follow Jesus you will experience both deep joy and deep costs. But, it’s the costs that really challenge us. Is it worth it? Why endure amidst such difficulty? Here we learn that following Jesus can be costly, but he is worth it – infinitely worth it. It’s costly, but He is worth it. Infinitely worthy it. In Acts 20 we have Paul’s last recorded words to the pastors of the church at Ephesus. This is very instructive. What does he say? What does he emphasize? What does he leave them with? This passage is here to cause us to stop and consider what we want our life to be about, in the end, and start living that way now. The first day is important, but the last day is more important. In Acts 18:23-19:41, we get to watch Paul plant a church in the great city of Ephesus. Keep in mind these are real people, real cities and real churches. We will see that Jesus stands above sincere religion, stubborn unbelief, satanic opposition, and empty materialism. This is here to increase our confidence in Jesus Christ and his gospel of Grace. His purpose here is to make us a radically hope-filled, humble, courageous, Jesus-centered people. Let’s see what he has in store for us this morning. A survey of the book of Acts will reveal that God’s primary plan for the spread of the good news of Jesus Christ is through the multiplication of local churches (i.e. church planting). Acts 18:1-22 provides us a first hand look of Paul’s church planting efforts in the city of Corinth, a city much like Seattle. What is church planting? Why do it? What role do we all play in it? What should expect from it? One of the major themes of the book of Acts (and the Bible!) is that God wants all people, everywhere, to know, love, treasure, and worship him through Jesus Christ. He then sends those who have been gripped by the gospel to be the primary agents in spreading it. But, how do we best do that? We can learn much from Paul here in how contextualizes the gospel for those in Athens. What is contextualization? How do we do it? The gospel of Jesus is the greatest treasure in the universe. There are amazing, too-good-to-be-true blessings that come with getting this message right. And, there are serious, grave consequences if we get it wrong. So, it is vital that we ask, how do we faithfully proclaim Jesus in our beautiful, sophisticated, highly educated but spiritually deceived city?